Below are examples of programmes currently being performed. We do offer other titles and repertoire, and are happy to tailor concerts as appropriate to suit promoters and audiences. 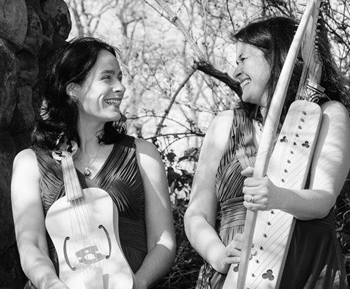 We present a programme of songs and readings by female troubadours and trouveres from 12th and 13th century France, as well as anonymous songs from a female perspective depicting the life and experiences of a medieval lady. 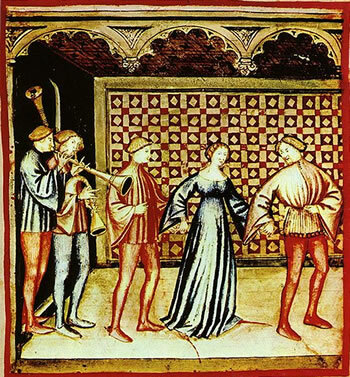 Female troubadours include Beatriz de Dia, Clara d’Anduza, Castelloza, and Azalais de Porcairagues. Female trouveres include the Queen of France Blanche de Castille, the Duchess of Lorraine, and Maroie de Dregnau de Lille, all of whom are rarely performed. Women’s songs include narrative chansons de toile, humorous mal mariée songs of marital discontent and moving laments for a distant lover. Songs of fate and favour from the famous Carmina Burana manuscript and love songs from the German Minnesang tradition, both poignant and witty, present a fascinating view of the thoughts and dreams of medieval poet-composers. We include a dramatic extract from the epic romance of Tristan and Isolde (by Gottfried von Straßburg). Other pieces in medieval German include songs by Neidhart von Reuental and polyphony by ‘the last Minnesänger’ Oswald von Wolkenstein. These contrast with the mostly Latin songs of the 13th century Carmina Burana collection and French songs to which these are closely related. The pain of unrequited love, the pleasures of spring, and the chivalry of serving a liege-lady: we present various aspects of the theme of love, both serious and light-hearted, expressed through song and contemporary verse. Let us take you on a journey through medieval Europe, stopping to sample the most gourmet musical delights from each country. 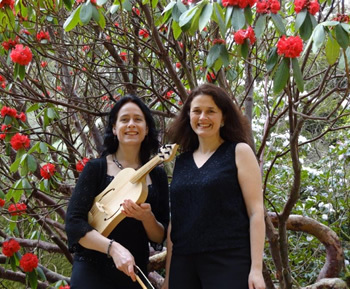 Colourful miracle stories from Spain, heart-rending love songs from France, philosophical musings from Germany and festive mirth from England combine with rumbustious Italian dances to create a feast of musical flavours to suit every palate. 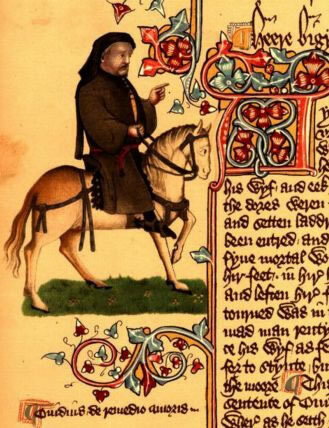 Alongside this knight there travelled a vain prioress, an alcoholic franklin, an unworldly Oxford scholar and a notorious wife from Bath, to name but a few of Chaucer’s colourful pilgrims. 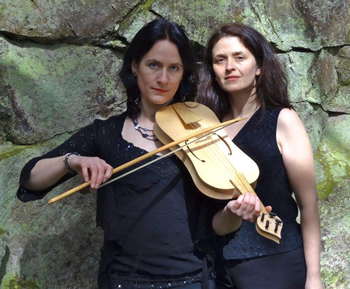 Using the General Prologue to The Canterbury Tales as the inspiritation for this programme, we perform songs and dances from across medieval Europe which illustrate Chaucer’s descriptions and bring these vivid personalities to life.